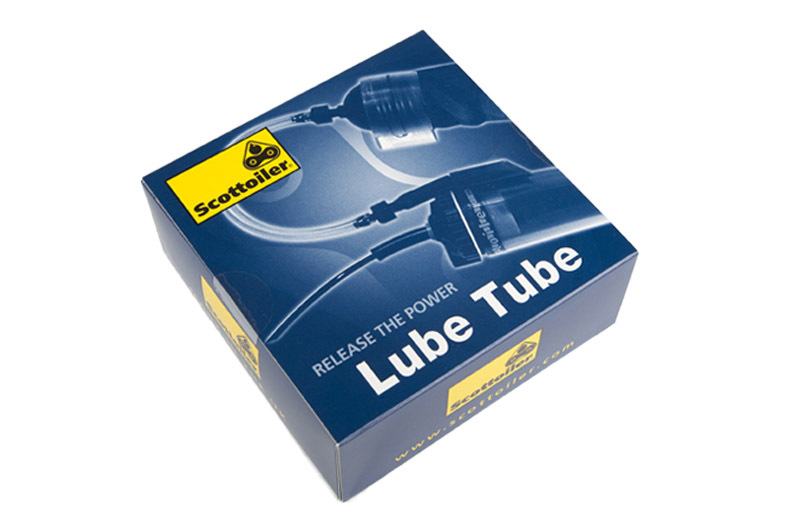 The Lube Tube is a flexible silicone reservoir which connects easily to your Scottoiler to increase the oil capacity of your system. Put simply, it increases the distance you can ride before you need to refill your system with oil. 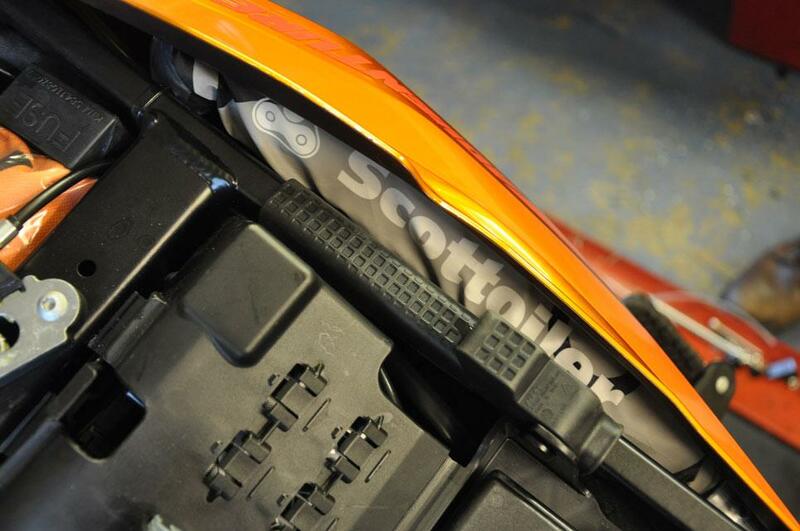 The basic Scottoiler kit will give you between 500-1,000 miles in range before requiring a refill. With the Lube Tube fitted you can increase this by up to 3 times. The Lube Tube is an additional silicone reservoir which takes up only the smallest of spaces on your bike. 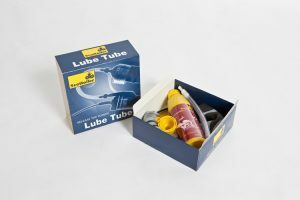 There is sufficient oil included in the kit to fill the Lube Tube, with some left over to refill the main reservoir (RMV/REP) as well. 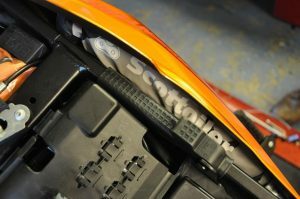 It comes complete with all the necessary parts required to add it to your existing Scottoiler system, so fitting is a simple, plug and play process. All you have to do is decide where to put it. It works by connecting to the filler plug on the main reservoir. 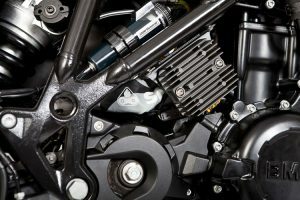 Normally the system would breathe through this, but by connecting the Lube Tube, it siphons the Scottoil into the main reservoir, allowing you to ride for longer. How far can I go between refills? 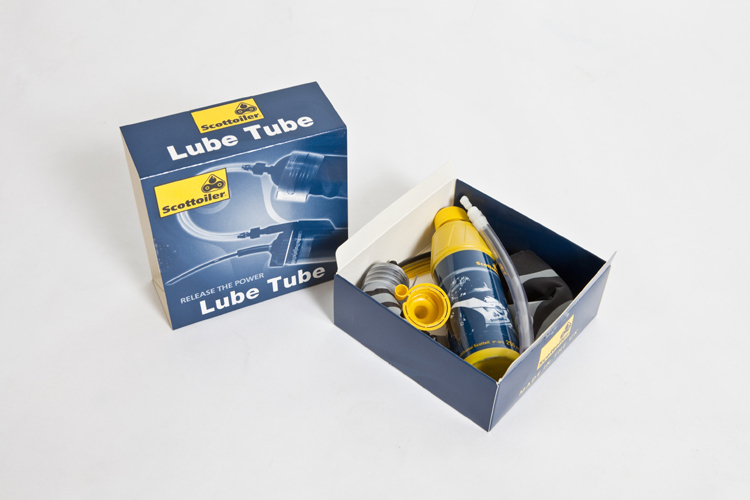 With the Lube Tube you can go anywhere between 1,500 – 3,000 miles between refills depending on the flow rate of the system. What oil does it take? 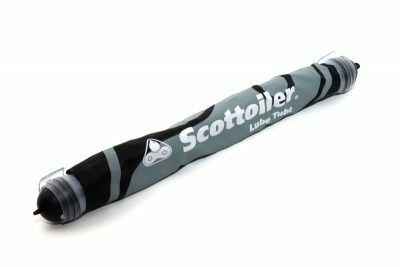 The Lube Tube can use both Scottoil original or high temperature depending on the climate or conditions you’re planning on riding in.